Quality implements made to last a lifetime. Created by hand using the highest quality materials available. Hours and hours of refining our skills and designs are reflected in our creations. Our goal is to convey the love and care we take in our gear. When you feel it, you will know. We don't make products, we make scenes. Hand made gear for people who care by people who care. How can I put into words the way that I feel about Leather Wood Studios? Let me try…. I am the proud owner of a great matching set that consists of, a blue deer hide flogger, wrist and ankle cuffs, as well as, a matching binder cuff. The set is absolutely amazing! It was exactly what we were looking for and the maker even gave us a great deal for getting the whole bundle. I have not come across another flogger that feels as soft and amazing as the one that we bought from Leather Wood Studios does. It is a perfect “thumpy” feeling, not stingy, which is great for warm ups. And the cuffs!?! I could wear them all day, every day! They are absolutely amazing and so very soft! I wear the binder cuff everyday all day long and feel lost when I don’t have it on. I had to have the cuffs adjusted in size because I lost weight after getting them and they no longer fit. 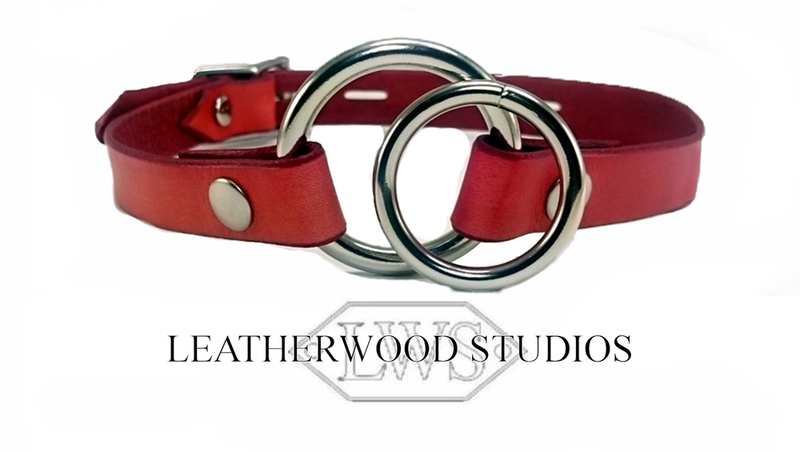 When I brought it to the owner of Leather Wood Studios he was more than happy to adjust them, at no cost! I have seen firsthand how he takes great pride in what he makes for other people and will stand behind his products 100%. If you are ever not happy with something that you got from Leather Wood Studios they are always willing to help make it better so that you leave with nothing but a smile on your face! I would, and have, recommended this business to all of my friends! They do amazing work, I can’t wait to get my next piece from them! H. from Minnesota.